﻿ Saudi SASO Certification-Other Certification Items-Shenzhen STS test services Co., Ltd.
What is Saudi SASO certification? 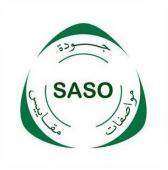 SASO is the acronym for the English Arab Arab Standards Organization, the Saudi Arabian Standards Organization. SASO is responsible for the development of national standards for all commodities and products, the standard also involves the measurement system, logo and so on. In fact, many of the SASO standards are based on the safety standards of international organizations such as the International Electrotechnical Commission (IEC). In order to achieve the purpose of protecting consumers, SASO standards not only for imported products from abroad, for the production of products in Saudi Arabia also apply. Saudi Arabia's Ministry of Industry and Commerce and SASO require that all SASO certification standards contain products that have SASO certification when entering Saudi customs and that products without SASO certificates will be refused entry by Saudi Harbor Customs. 5, if the certificate can not be issued SASO, the product will be refused entry or sampling to the Saudi Arabian Ministry of Industry and Commerce or the Saudi Arabian Standards Organization laboratory testing, such as testing failed, the product will be refused entry, all costs by the export Business commitment. This method is best suited for very few exporters or manufacturers. Prepare pre-shipment inspection (PSI) and pre-shipment testing (PST) before each shipment. Both are qualified to obtain a CoC certificate. This approach is suitable for the vast majority of customers, and its advantage is that each shipment inspection (PSI) is necessary, but each shipment is no longer required pre-shipment test (PST). The Client obtains the Statement of Registration (SfR) by submitting a statement of compliance and providing a test report that complies with the importing country and the relevant international or national standards and confirming that the product has met the essential requirements and national differences of the importing country. This method can save the inspection fee or test fee before each shipment, simplify the repeated application process, but also to ensure delivery time, so part of the ship more frequent or larger, focus on quality and credibility of the large The company favored. Exporters or manufacturers of products only in full compliance with the import and export country mandatory standards in order to obtain Statement for License (SfL) certificate. The certificate is valid for one year, before the expiration of the need to submit updated factory inspection report and pay the annual fee and after the RLC audit can be renewed. SfL certificate products are no longer required for each shipment are pre-shipment inspection (PSI), and reduced to a few times a few times the sampling (usually 2-3 times / year, according to product conditions). The test is based on the SASO / PAI standard or the IEC standard + national differences. The SASO / PAI standard requirements are considered separately. Some of the terms are different. Saudi Arabia has a rated voltage of 220V, 50/60Hz (with BS plug) or 127V, 60Hz ( With UL plug) (need to provide another prototype for testing); Kuwait voltage of 240V, 50Hz (with BS plug). Products that are prohibited from exporting to Saudi Arabia include: weapons, alcohol, sedatives, pork, pornographic materials, brewing equipment, fireworks, Christmas trees, masks, videophones, toys or statues of animals or people. DePuhua Testing (STS), as a third-party testing authority and SASO certification agency, not only has independent laboratories and a group of experienced SASO certified engineers, but also provides customers with a full range of SASO certification services , The company signed a mutual agreement with a number of countries, and issued by the report (or certificate), in line with Saudi testing standards, to eliminate your product export trade barriers. If you have relevant SASO certification test requirements please call us 400-1800-162, we sincerely welcome you to visit our company.